A number of local, national and international initiatives call for the development of hospice services for people living and dying with dementia, including the provision of appropriate training: The National Council for Palliative Care (2009); the Prime Minister’s Challenge on dementia (2009); the European Association of Palliative Care (EAPC’s) white paper on dementia (2013); and Hospice UK (2015). 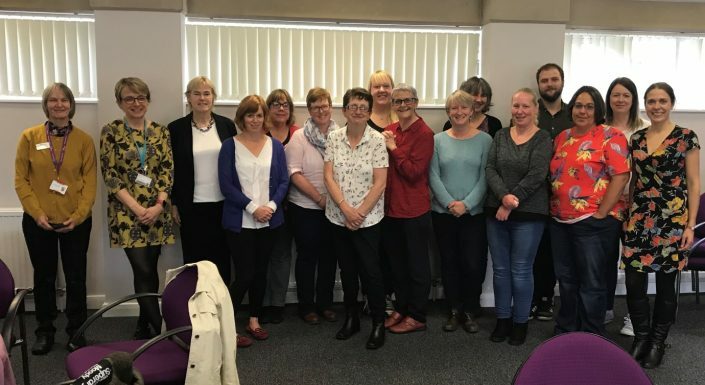 The Centre for Applied Dementia Studies and the Academic Unit of Palliative Care at St Gemma’s Hospice in Leeds have recently delivered two cohorts of peer facilitator training to 20 staff from 12 hospices in Yorkshire and Humberside. 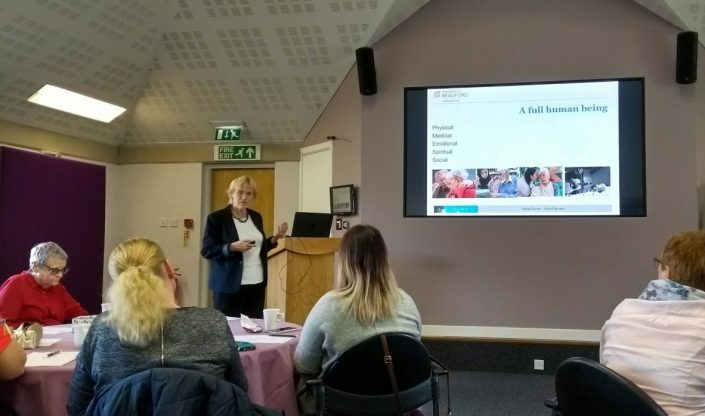 The training, funded by Health Education Yorkshire and the Humber, focused on how to support people living with dementia across hospice settings. Those attending the course learned how to deliver three modules to their colleagues: Foundations in Person-Centred Dementia Care; Enhanced Communication; and End of Life Care for people living with dementia. This ‘Train the Trainer’ model creates a sustainable way of disseminating training to an extensive workforce, as well as developing champions to act as leaders in practice development. On Monday 1st October, St Gemma’s Hospice hosted a Community of Practice day for all of the hospice staff who had attended the training. A total of 11 facilitators attended, representing six hospices. We were privileged to have two additional special guests, Wendy Mitchell and Professor Murna Downs. The day started with reflections from Murna about end of life care for people living with dementia. Murna spoke about the commitment of Health Education England to improve education for health and social care staff supporting people living and dying with dementia. 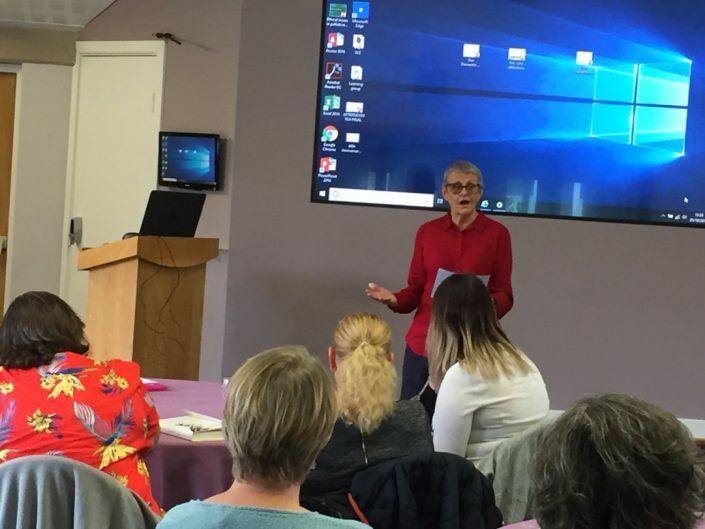 She passionately spoke about the need to see the whole person, reflecting on whether what hospices offer is specialist palliative care or simply humanistic care. A key take home message from Murna was that we shouldn’t just be investing in end of life care when death is imminent but exploring people’s wishes and needs from a much earlier stage. Next, each of the participants presented how the training was working in their hospices. Whilst some challenges of time and resources were quoted by a number of participants, there were many reflections on the positive impact of the training on care practices and awareness of dementia. In total, approximately 350 hospice staff have been trained by the people who attended the Community of Practice day. It was wonderful hearing from Murna, Wendy and all of the facilitators during the day and acknowledging that the training is making a positive difference to people living with dementia who access hospice services. Written by Lindsey Collins with contributions from Clare Mason and Murna Downs. Thanks also to Wendy Mitchell, Jane Chatterjee and all the hospice training facilitators for their contribution to the day and the project as a whole.